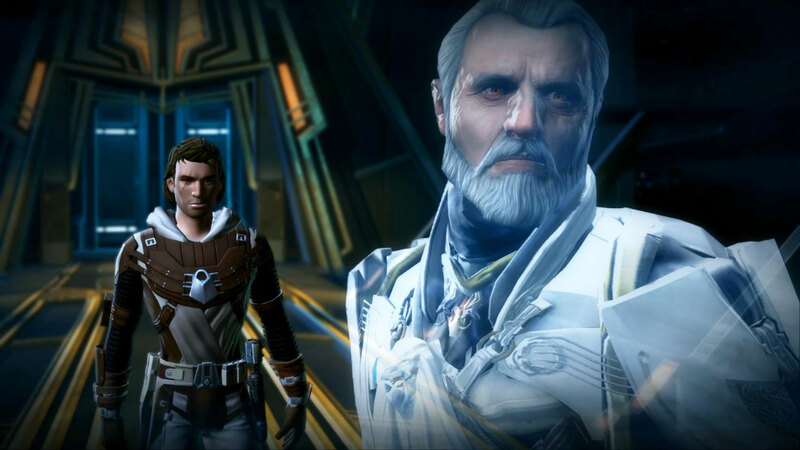 Star Wars The Old Republic: Next Stop is Nar Shaddaa! Last week in my SWTOR adventures, I spent my time in Balmorra and I had found my first artifact that I was looking for. During my journey I have met a lot of people and even some interesting NPC’s where I spent some time with. After I had done all the quests on Balmorra that was possible it was time to head back to my ship and go on another adventure to a new planet. Since I had no other choice I went to Nar Shaddaa, home to the intergalatic city that never sleeps. I was truly stunned when I set my first foot on the ground of Nar Shaddaa. This planet had really the most stunning and best looking environments from all of the planets I have been to. The big city where I had landed was really massive and shone beautifully at night. When I got to talk with a few locals and helped a few people out I got the plan of raising my own gang to get some notability. The artifact that I was looking for was in the hands of a gang leader that was troubling everyone and all the residents, and thus I had to help a lot of the locals to gain some fame and more followers in my own gang. Lord Paladius the evil gang leader that got a hold of the artifact that I was looking for was one man to be afraid of. He had dealt with multiple Sith already that were sent to Nar Shadaa seeking the same goal as myself. It was clear I couldn’t beat him alone so I went about recruiting a rather large following. During this time I was still a low level and unable to use any form of transportation like mounts so I had to walk a lot. Unfortunately like the other planets I had to travel quite some distances to get to the questing zone and to finish all my quests. Luckily Nar Shaddaa had some sort of temporary mounts on the side of the road that made the players a bit faster but unfortunately not fast enough for my liking. So I decided to party up with my good old friends and do some warzones to gain some levels fast. After playing for a few hours straight and earning tons of cash and marks I went to the imperial fleet to get me some Player versus Player gear. Now I must say the gear that I found with questing and doing heroics was really good but the warzone gear was even better than the gear I had before. It really made my character noticably stronger, and so I had no problem dealing with any thugs or other players that stood in my way. And after a while I managed to get to level 25 and I was able to get the skill to ‘ride’ my mount. Since I had preordered a digital deluxe version I already had a special mount for the occasion and could save my cash for more important things like debauchery in Nar Shaddaa. When I had the mount I was able to do the quests much faster since the distance between npcs and goal objectives on this world are insane. Of course faster movement leads to faster leveling. Before I realized it I was a one-man army and decided to wrap things up quickly to finish of Lord Paladius. When I found Lord Paladius’ hideout I rushed in quickly expecting his gang to fall in one fell swoop. Unfortunately things weren’t going as planned and Lord Paladius was notable stronger than anyone I had encountered before, and it took me a few tries to end his miserable life. When achieving the artifact I was looking for I went back to my own gang to tell them about everything that happened and that they shouldn’t have to fear Lord Paladius anymore. During my stay in Nar Shaddaa I also got in touch with a beautiful lady that was in my gang and I got to know her a little better after my journey on the planet. After I told her I had to leave she had a surprise for me and she went to show me more of this beautiful planet and area. When it was time to go I promised her that I would see her soon. And like any real gentleman… I did not. When I got to my ship I decided to head back to my master and report my adventure and my findings. I don’t want to spoil much more, but after I reported back to my master I realized how cunning and evil she truly is. I knew from now on I would have to watch my back or wake up with a knife in it. Everyone around me warned me that she was plotting to betray me but I didn’t give a second thought to something not pertinent to the present. In my next article I will head to the planet of the sand where my first battle with a rival Jedi begins!